Cookies are usually delicious when the right recipes are being applied. With several varieties of cookies out there, we have a lot to choose from. Cookies can be prepared for different occasions and in different styles depending on the ingredient used. 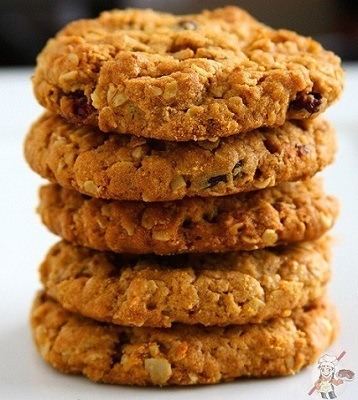 There are also several cookie recipes without eggs which taste good and healthy as well. These cookies are easy to prepare and best for those with egg allergies. 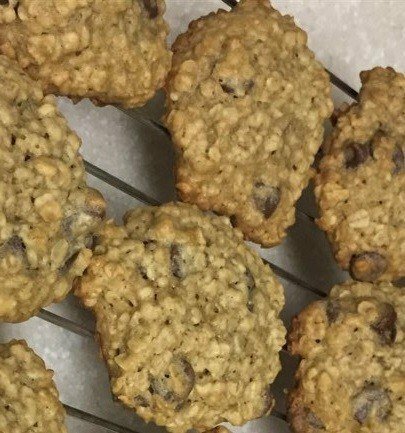 This Egg-less Oatmeal Chocolate Cookie Chip is an ideal meal for breakfast and dessert. Very easy to prepare with ingredients within reach. This tasty cookie can be made within 20 minutes. With ingredients for its preparation such as butter/margarine, brown sugar, granulated sugar, vanilla extract, flour, salt, baking soda, quick oats, and chocolate chips. Stir the butter into the mixture of sugar and vanilla until it turns to paste like. Sprinkle flour and mix very well. Pour baking soda into hot water to dissolve and pour over the mixture and stir continuously. Pour the mixture into the quick oats and chocolate chip and stir. Bake carefully for 10 minutes. With a free choice of either baking it softer or crisper. This cookie is a sure treat for breakfast. With its unique taste and easy preparation method. With available ingredients such as unsalted butter, granulated sugar, milk, vanilla extract, baking powder, salt, cream of tartar, flour, and cinnamon. Add a mixture of butter and a cup of granulated sugar. Stir till it turns smooth. Pour in a combined mixture of the vanilla extract, milk. Stir steadily until they mix thoroughly with the butter and sugar.Add little salt and baking powder to thicken the mixture. Add cinnamon and the cream of tartar. Pour all purpose flour gradually till your desired level. Pour dough into a clean bowl and chill for about 2-4 hours. Roll dough into the desired ball, coating it with the cinnamon and sugar mixture. Bake for about 10-15 minute depending on how soft or crisper you want it to be. This eggless cookie is a treat for those with egg allergy. Super delicious with its custom fluffy texture makes it super inviting. This cookie can easily be prepared at home with the us﻿e o﻿f sugar, butter, flour, milk, baking powder, salt, all-purpose flour, and vanilla extract. Add butter and sugar into an empty container. Stir till it becomes soft and lighter. Add the vanilla extract to the already mixed sugar and butter. In a different bowl, pour salt, flour and baking powder and mix them together. Combine both mixtures together with the use of a spatula or your hands depending on the quantity. Sprinkle more flour over the sticky dough to make it less sticky. Roll dough into the size of a ball, and coat the dough on one side using sugar. 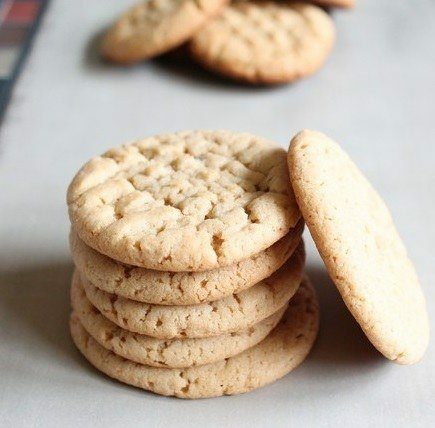 This eggless peanut butter cookie is super delicious. With the crispy and crunchy feeling, it brings its definite idea for breakfast. This cookie has a combination of sweet and salty taste which comes as a result of the peanut butter. Easily prepared within 25 minutes. With a list of home ingredients such as all-purpose flour, baking powder, baking soda, white and brown sugar, peanut butter. Combine a mixture of the all-purpose flour, baking powder, baking soda and salt in an empty wide bowl. Stir the butter till it gets all creamy and soft. Pour the white and brown sugar into the whisked butter. Whisk continuously till it gets smoother and fluffy. Combine the peanut butter with the whisked butter. Add a little quantity of milk and the flour mixture. To get an excellent shape and quickly roll the kneaded dough, store in a fridge for 20-25 minutes. Use a fork to make your desired patterns. Bake with low heat for about 13-15 minutes. Serve with a glass of chilled milk. 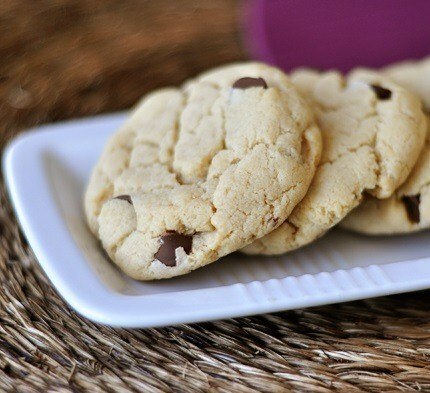 Cream Cheese Chocolate Chip Cookie is a delicious cookie. With the cream cheese acting as a substitute for the eggs. With its soft and chewy texture, this is a great choice for people with egg allergies. ​With a cook time of about 20 minutes. Easily prepared with the use of cream cheese, melted butter, light brown sugar, granulated sugar, vanilla extract, baking soda, salt, all-purpose flour, and milk chocolate chips. Blend a mixture of the cream cheese with the melted butter and sugar until it turns smooth. Add the vanilla extract, sprinkling it gradually. Pour in other ingredients and mix it till it becomes well blended. Roll the dough into ball-like shapes using your palm to flatten the top. Bake for at least 14 minutes till it becomes golden brown. The tasty and delicious choice for dessert. With an easy method of preparation, this little delicious cookie bite is a must treat this week. With ingredients easily available in the market. 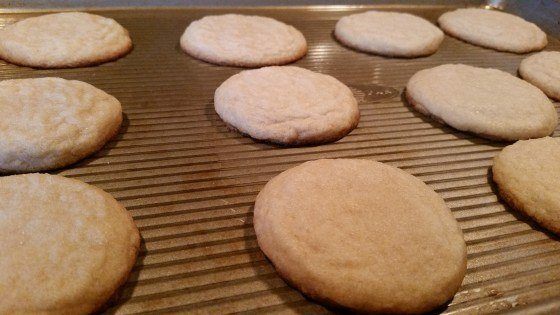 This eggless sugar cookie bite is super delicious and a great choice for kids. 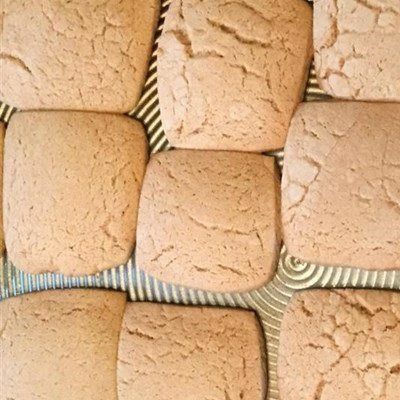 It can be prepared with the use of white whole wheat flour, light butter, sugar, natural sweetener, plain fat-free Greek yogurt, vanilla extract, and almond extract. Preparation of this cookie is 15 minutes max. Pour all the ingredients in a wide bowl and stir continuously till they are totally blended. Remove a teaspoon of the already mixed dough and roll it into the shape of a small ball at a time. Rub the already dough shaped ball in sugar or colored sprinkle. The ingredients are; softened butter, smooth peanut butter, coconut palm sugar, white sugar, egg replacer powder, vanilla extract, wheat pastry flour, cooking oats, baking soda, and salt. With the preparation time of 20 minutes, this eggless cookie can easily be prepared over again in one day. Mix the wheat pastry flour, quick-cooking oats, baking soda, and salt. In another large bowl, pour in the butter, peanut butter, sugars, vanilla extract, and the egg replacer powder and stir continuously. When it is well blended, mix both the mixtures together. Add the chocolate chips to give it a sweet taste. When you have mixed the chocolate chip with the mixtures, roll the dough and flatten the top of the rolled dough. Bake for at least 12- 15 minutes till gives you your desired color and softness. 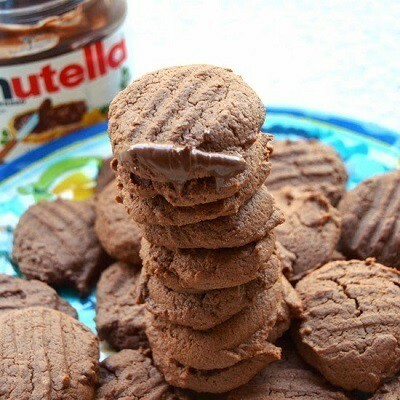 With ingredients such as; Nutella, butter, whole wheat flour, instant coffee powder, and milk. Your Eggless Nutella cookie can be prepared using the following steps, Pour four tablespoon of butter and six tablespoons of Nutella into a bowl. Whisk in a particular direction till the butter disappears. Add your whole wheat flour and a half tablespoon of baking powder gradually and continue mixing. Sprinkle a teaspoon of instant coffee powder to give it the coffee brown color. If the mixture is too dry, add some milk to reduce the dryness. Scoop and place in a paper foil while you bake for 11-13 minutes after pressing it. With a unique cooking pattern, this eggless ginger snap cookie is definitely a treat for your guest and kids. 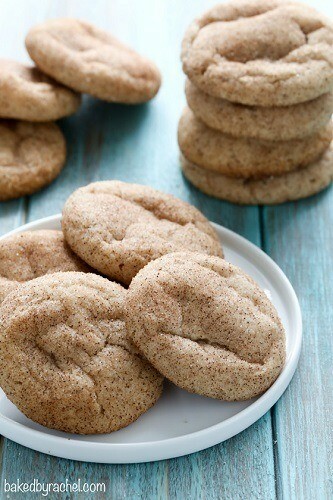 Ingredients involve white sugar, shortening, dark molasses, baking soda, ground ginger, ground cinnamon, all-purpose flour. To prepare, mix the white sugar and shortening in a wide bowl till they become smooth. Add the stirred sugar and shortening mixture into the molasses and continue stirring. Pour the baking soda, ginger, cinnamon, flour, and mix with the molasses mixture. Carefully pour some of the baking soda on a flat surface and roll the dough after cutting them into a ¼ inch of thickness. Bake for about 5-7 minutes and enjoy with friends and family. A perfect treat for your kids after school. With a delicious taste of the lemon. 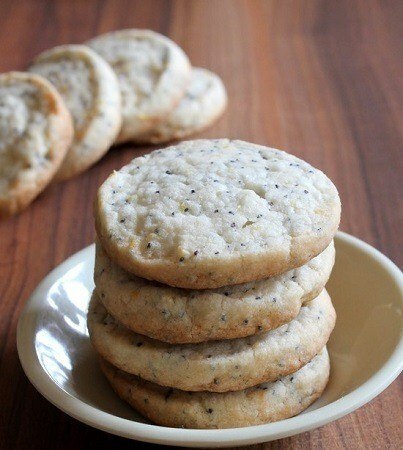 This lemon poppy seed cookie is quite a rare cookie treat. A perfect cookie for those with egg allergy and lemon lovers.With preparation time at 32 minutes, this delicious cookie is easy to prepare. The ingredients such as unsalted softened butter, icing sugar, poppy seeds, lemon zest, vanilla extract, all-purpose flour. Preparing this cookie is quite easy and can easily be learned. Add the softened butter and the icing sugar in a bowl and blend till it turns soft. Add a bit of lemon zest, vanilla extract and the poppy seed to the mixture of butter and icing sugar. Sprinkle the all purpose flour and mix using your hand. Store in a fridge for about an hour to allow it harden.Bake for about 10-12 minutes. So, which of the cookies recipes you like the most? Did you try an of them earlier? Please don't forget to share your views.